Induced demand, or latent demand, refers to the phenomenon that after supply increases, more of a good is consumed. This is entirely consistent with the economic theory of supply and demand; however, the idea has become important in the debate over the expansion of transportation systems, and is often used as an argument against widening roads, such as major commuter roads. It is considered by some to be a contributing factor to urban sprawl. Molecular gastronomy [ga-stron-uh-mee] is a subdiscipline of food science that seeks to investigate, explain and make practical use of the physical and chemical transformations of ingredients that occur while cooking, as well as the social, artistic and technical components of culinary and gastronomic phenomena in general. Molecular gastronomy is a modern style of cooking, which is practiced by both scientists and food professionals in many professional kitchens and labs and takes advantage of many technical innovations from the scientific disciplines. The term ‘molecular gastronomy’ was coined in 1992 by late Oxford physicist Nicholas Kurti and the French INRA (a public research institute dedicated to agriculture) chemist Hervé This. Some chefs associated with the term choose to reject its use, preferring other terms such as ‘culinary physics’ and ‘experimental cuisine.’ There are many branches of food science, all of which study different aspects of food such as safety, microbiology, preservation, chemistry, engineering, physics, and the like. Until the advent of molecular gastronomy, there was no formal scientific discipline dedicated to studying the processes in regular cooking as done in the home or in a restaurant. Frame rate is the frequency (rate) at which an imaging device produces unique consecutive images called frames. The term applies equally well to computer graphics, video cameras, film cameras, and motion capture systems. Frame rate is most often expressed in frames per second (FPS), and is also expressed in progressive scan monitors as hertz (Hz). The human visual system can process 10 to 12 separate images per second, perceiving them individually. The visual cortex holds onto one image for about one-fifteenth of a second, so if another image is received during that period an illusion of continuity is created, allowing a sequence of still images to give the impression of motion. An exocortex is a theoretical artificial external information processing system that would augment a brain’s biological high-level cognitive processes. An individual’s exocortex would be composed of external memory modules, processors, IO devices and software systems that would interact with, and augment, a person’s biological brain. Typically this interaction is described as being conducted through a direct brain-computer interface, making these extensions functionally part of the individual’s mind. 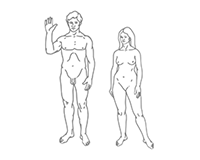 Individuals with significant exocortices could be classified as cyborgs or transhumans. Cortex (Latin: bark) is used in neuroscience for the outer bark-like layer of the brain that is the site of most sophisticated cognitive information processing. It was coined in allusion to the neocortex (literally ‘new bark’), the newest part of the mammalian brain (in evolutionary history), believed to be responsible for the highest human cognitive abilities including conscious thought, spatial reasoning, and sensory perception. Thus the terminology suggests a progression from reptilian thought (the older parts of the brain) through human (neocortex) to high-level human or even supra-human cognitive processing capabilities (exocortex). Shovelware is a derogatory computer jargon term that refers to software noted more for the quantity of what is included than for the quality or usefulness. The term is also used to refer to software that is ported from one computer platform or storage medium to another with little thought given to adapting it for use on the destination platform or medium, resulting in poor quality. The metaphor implies that the creators showed little care for the original software, as if the new compilation or version had been indiscriminately created / ported with a shovel, without any care shown for the condition of the software on the newly created product. The term ‘shovelware’ is coined with semantic analogy to phrases like shareware and freeware, which describe methods of software distribution. While some critics have characterized Joy’s stance as obscurantism (the practice of deliberately preventing the facts or the full details of some matter from becoming known) or neo-Luddism, others share his concerns about the consequences of rapidly expanding technology. Kinetic photography is an experimental technique such as holding and shaking the wrist strap of the camera, dropping the camera, throwing or spinning the camera up in the air, or rigorously moving the camera while taking a picture. As the photographer has surrendered control over the camera to physical forces, this technique tends to produce abstract, random or blurred-motion photographs. Perhaps the most risky field of kinetic photography is that of camera tossing, in which the photographer literally throws their equipment into the air in hopes of producing an artistic looking image. Many camera tosses take place at night, when the camera is able to capture light with a long exposure, resulting in streaks of hypnotizing light patterns. The pioneer of camera tossing, Ryan Gallagher, hosts a blog on the subject. The Jerusalem syndrome is a group of mental phenomena involving the presence of either religiously themed obsessive ideas, delusions or other psychosis-like experiences that are triggered by a visit to the city of Jerusalem. It is not endemic to one single religion or denomination and has affected Jews, Christians and Muslims of many different backgrounds. The best known, although not the most prevalent, manifestation of the Jerusalem syndrome is the phenomenon whereby a person who seems previously balanced and devoid of any signs of psychopathology becomes psychotic after arriving in Jerusalem. The psychosis is characterised by an intense religious theme and typically resolves to full recovery after a few weeks or after being removed from the area. La Mexicaine De Perforation is a subdivision of a French group called the L’UX (Urban eXperiment), which holds clandestine artistic events. In September 2004, french police discovered a fully functional underground movie theatre run by La Mexicaine De Perforation in the catacombs of Paris. When the police returned for a formal investigation, all the equipment had disappeared—all that was left was a note on the floor reading, ‘Do not search’ (‘Ne cherchez pas’). The members of L’UX are largely secret, but its spokesman is Lazar Kunstmann who published La Culture En Clandestins L’UX relating 25 years of clandestine cultural actions.